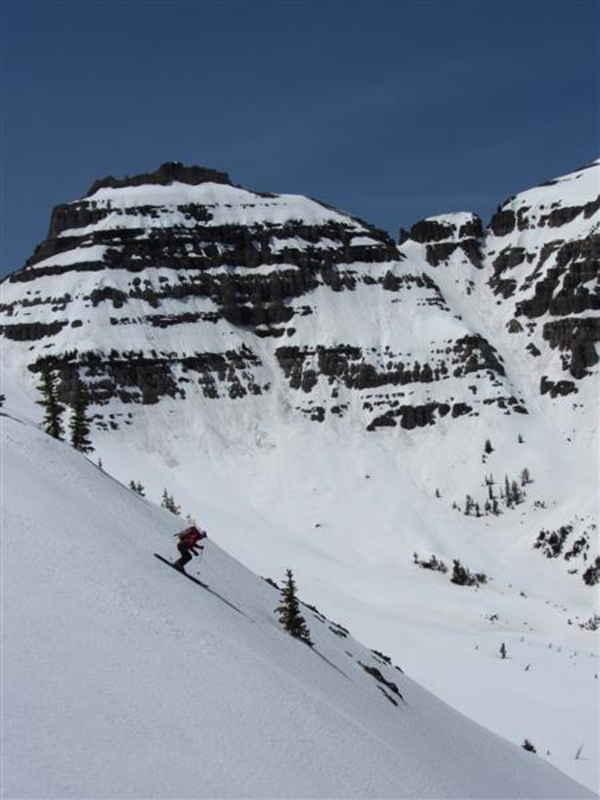 Backcountry skiing at Breccia Peak near Togwotee Pass is a highly accessible and scenic option. Shots are short and steep, but views are long, and you can get back to the top in about 15 minutes. 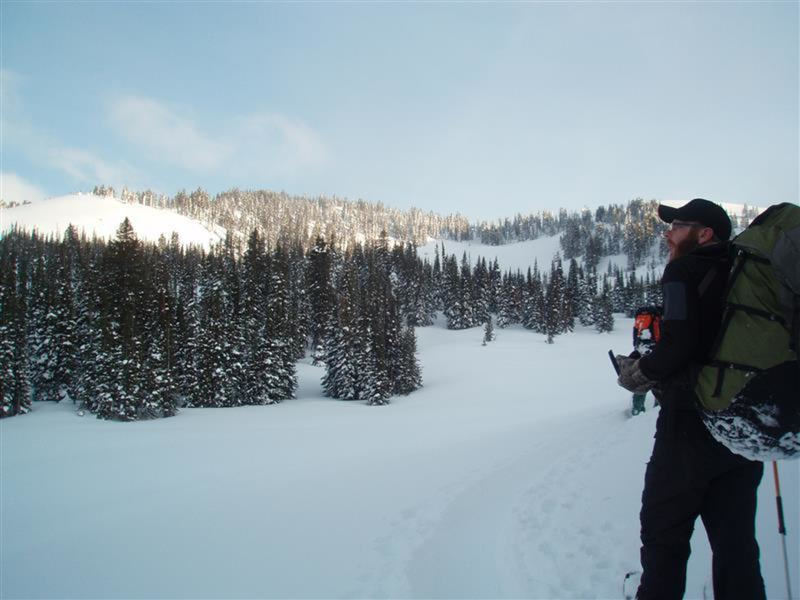 Togwotee Pass' backcountry skiing opportunities are often overlooked because Teton Pass and Grand Teton National Park are closer. But they shouldn't be overlooked at all. 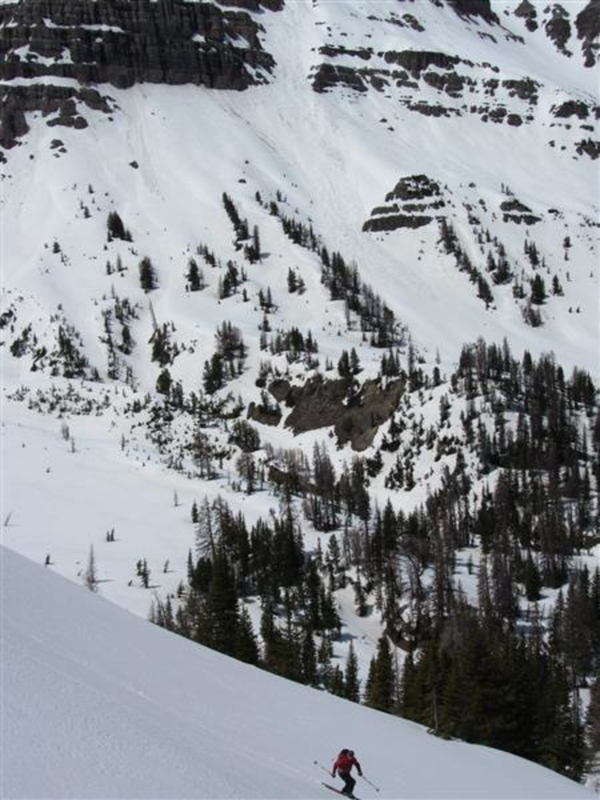 Especially for early and late season skiing, as it's often ski-able a month earlier and a month later than both those other areas. Most often, I start up a drainage to the large basin beneath Breccia’s southeast face. Technically, this area might be called Breccia Meadows. From the basin, I often head for the face’s southern ridge. 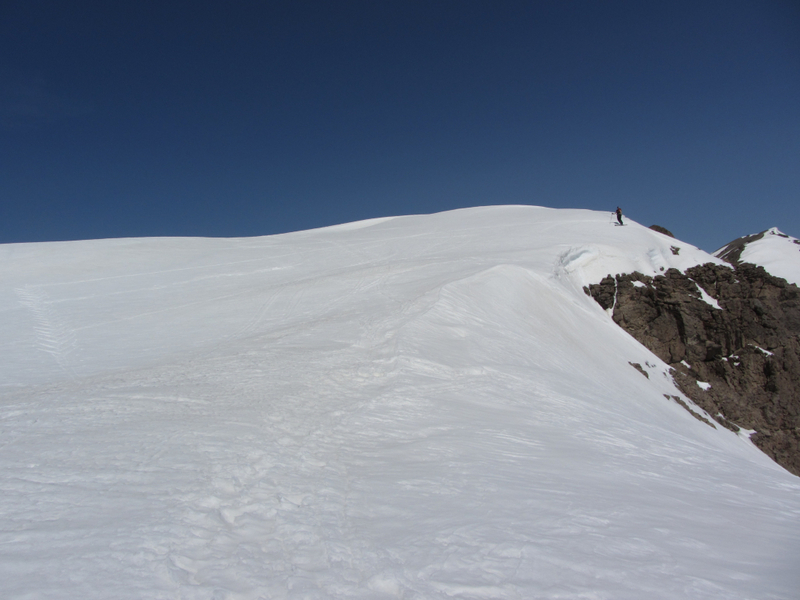 And then about 90 minutes later, I'll have climbed 1500 vertical feet and be atop one of Breccia’s summits. Breccia is several “summits” linked by a ridge. Pick your summit. 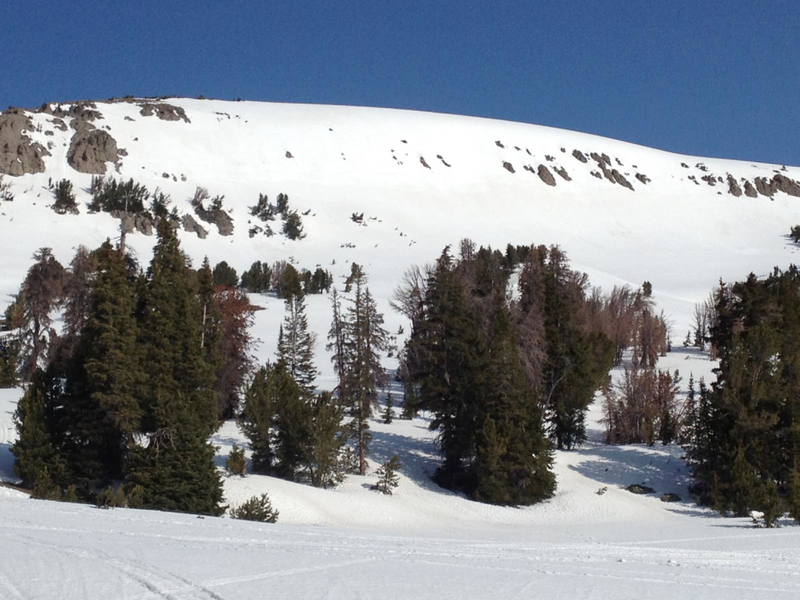 If you want to ski the southeast face, a short-but-worthy open run, you'll want the most southerly summit. To say it is beautiful up there is an understatement. 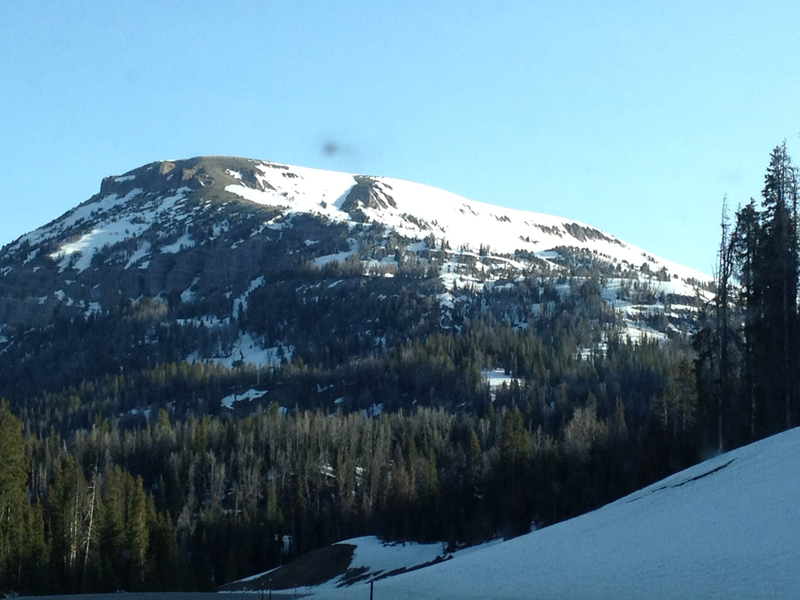 The ski lines in the Tetons are longer, but, well, they’re in the Tetons. 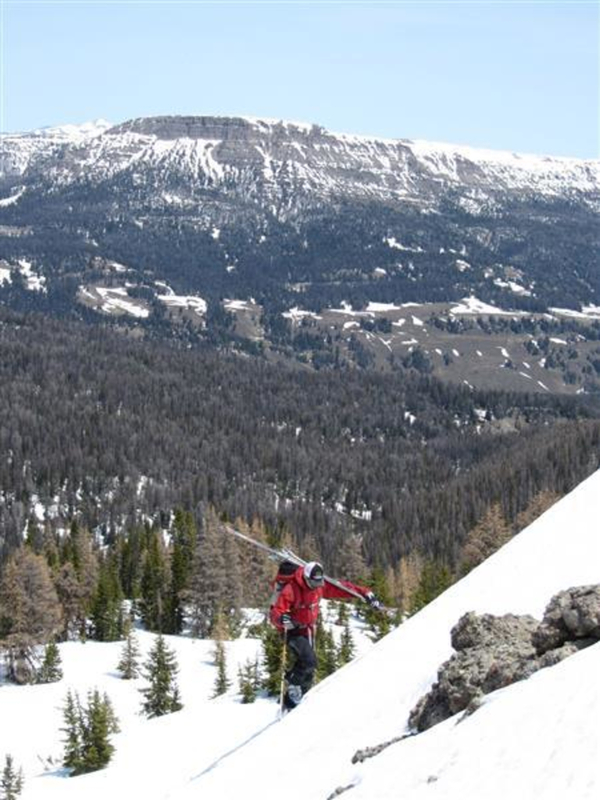 Skiing on Togwotee, you get to look at the Tetons; not to mention at the Gros Ventres, Wind Rivers, Snake Rivers, and Absarokas as well. Breccia’s southeast face is one of the few I’ve encountered that is steeper than it looks. Breccia’s southeast face looks benign. If I had to guess, I’d have said it was 30 degrees. Three turns off the summit though, it dropped away beneath my skis. Literally. The next four turns were 45 to 50 degrees. And then it was back to 30 degrees. And then it was over. Like I said, shots here are short. But short shots mean short ascents. Fifteen minutes and you can be back to the top again. And then you can perhaps choose an east-facing line. And then traverse a bit to the north in search of a north-facing line. It's all fun, worthwhile, and accessible. 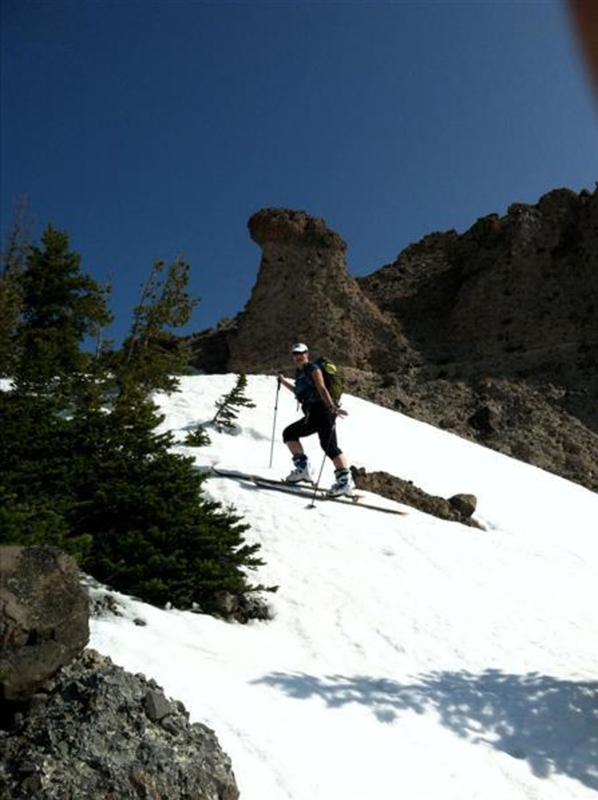 Steep ski lovers and those wanting a big workout in a short distance. Laps up the peak can be a great way to get a full day's workout. 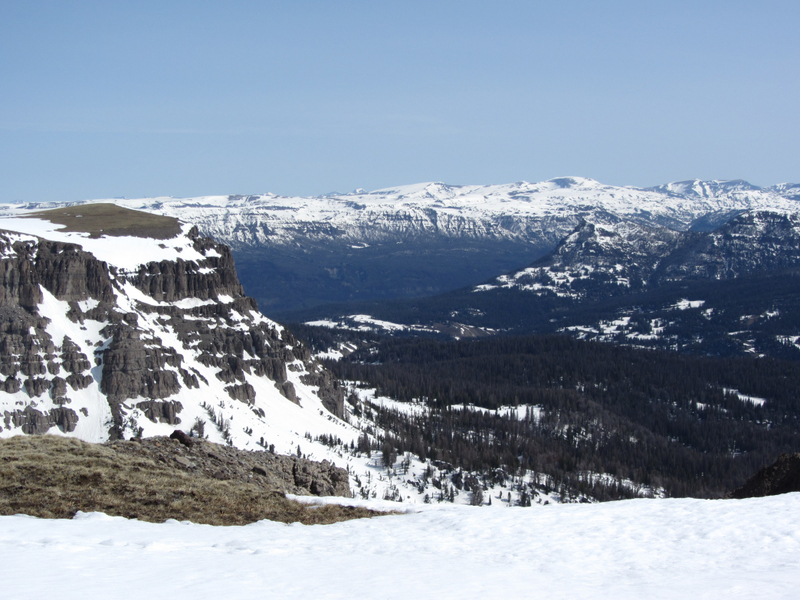 Breccia Peak is one of the easiest-to-access peaks on Togwotee. Shots are short, but views are long. You'll want to park for Breccia on the north side of the road about 10 minutes past Togwotee Mountain Lodge. Mid-season, when everything is filled in, there are multiple ways to skin up. Route finding isn’t difficult. You'll have good visuals where you are going and the parking areas almost always have a few cars.